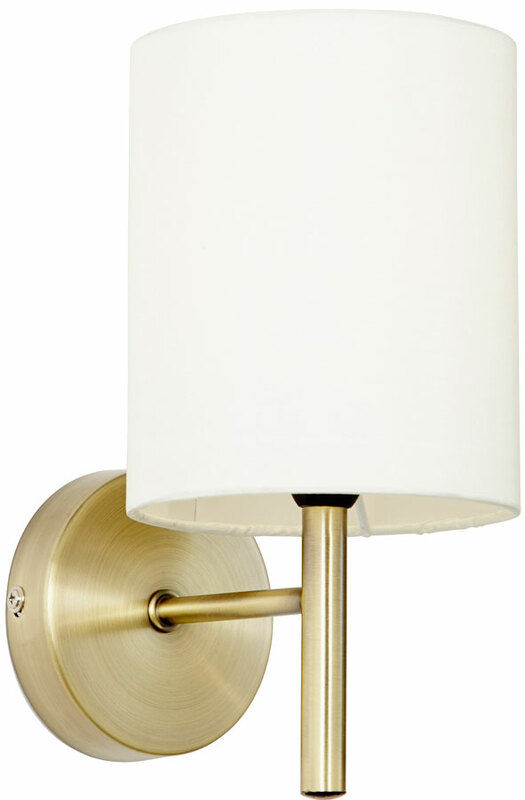 A simple streamlined design, with an antique brass wall bracket, single support rod and simple lamp arm topped with an ivory faux silk shade. The tall shade makes this wall lamp suitable for use with an energy saving fluorescent light bulb as it hides the lamp (non dimmable). The Brio antique brass finish single wall light. A lovely inconspicuous design that will fit in almost any environment. Hello. Does your projection measurement of 165mm include the shade or is it just the metalwork, please? Many thanks. Hello Richard, the 165mm projection includes the shade, thank you.